This list was supplied by Max Torrence. He was the operations officer during my tour of the unit. He has been very instrumental in obtaining information on this unit and I really appreciate this. I hope to keep this information available for a very long time. 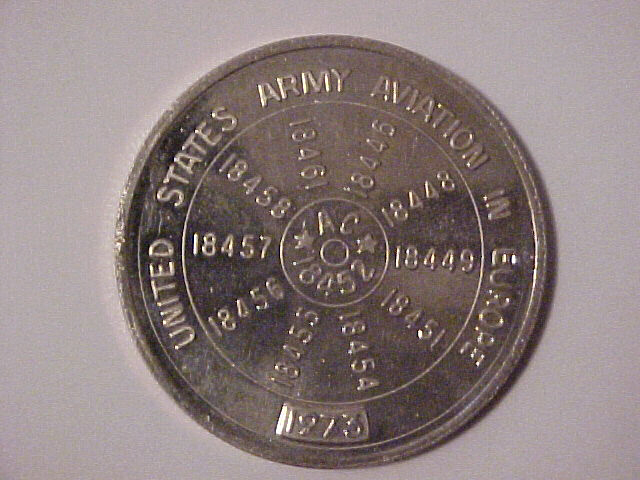 Note aircraft numbers on coin, especially one in the middle!! a/c tail numbers from 1971-1974 I have found that the FAA has changed format, therefore attempting to view the registration numbers is a lengthy task now. 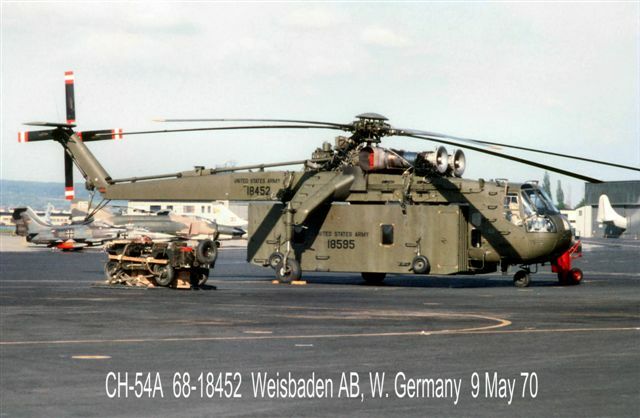 I have included this link to all CH-54/S-64 aircraft and their disposition according to Sikorsky. 18451 CH54-A US Registration N451CR Rasbery Inc. Ketchikan Ak. 18455 CH54-A US Registration N9125M Siller Bros. Yuba, Ca. 18457 CH54-A Reported lost near Cincinnati Ohio on transfer 4 souls. Click on Serial number to find out about that aircraft. The Unit did have an unfortunate incident on July 28th,1970. Aircraft 18452 crashed during an emergency autorotation. The aircraft was landed successfully and broke at the cabin area as designed. Unfortunately the fuel in the aircraft spilled and caught fire. This caused burns to all crew members and as a result, all died from these injuries. 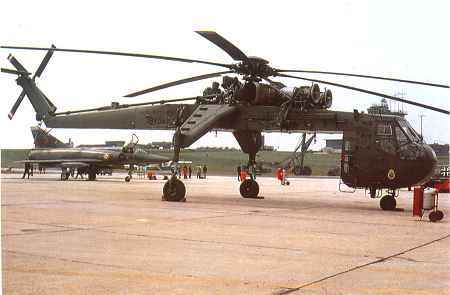 A frozen tail rotor p/c link was determined to be the cause. By being a member of this unit, and by learning of this incident through the request of the daughter of the A/C commander on board, I have dedicated this entire web site on the 295th to these men. Please take a moment of silence for these men as our prayers and thought's go out to their families. 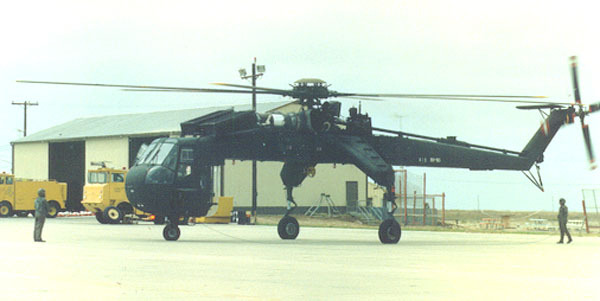 Here is a reference page on all the known Skycranes built and their status today.